At the heart of Helander Metal Spinning’s hydroforming services is our cutting edge 20" hydroforming press. Sheet hydroforming is an ideal process for manufacturing parts with complex or asymmetrical geometries that would require multiple punch cycles in a matched die stamping process. By replacing one of the rigid dies with highly pressurized hydraulic fluid contained in a flexible diaphragm, its dynamics allow it to take on the form of any conceivable geometry. We use it to create an almost unlimited range of geometric shapes, either shallow or deep drawn, from a wide variety of metals and metal alloys. Designed by engineering and manufacturing professionals with decades of experience in the machine tool industry, this hydroforming press sets the industry standard in hydroforming technology. Their pioneering pressure containment system offers a significantly reduced press size and operates with outstanding integrity and durability. Modern design software, state-of-the-art hydraulics, and computer-driven controls provide us with the capability to produce seamless parts that are extremely lightweight, strong, and durable. This flexiblepress is fully programmable can be used interchangeably in the deep draw or fluid cell process mode. For deep drawn parts or those with curved geometries, the downward-acting bladder holds the material during pressurization as the tool is extended upward by a hydraulic punch cylinder. This draws the material into the bladder and allows it to flow as needed. By contrast, the fluid cell process allows the downward pressure of the bladder to form the material around the tool, allowing multiple parts to be run in a single cycle. Operating at up to 10,000 psi, this hydroform features and advanced control and hydraulic systems that allows us to precisely manage the forming pressure of punch travel, which facilitates the production of net-shaped parts. Its "open" feature enables our operators to visually inspect parts mid-cycle, after which they can either continue the cycle or abort in order to modify the recipe – a significant time saver in new part development projects. Maximum punch tool diameter is 15", while draw depth capacity is 10". Outfitted with components from well-known names in industrial automation, it gives us the capability to for an extensive PM program. This exceptional press provides us with a high-reliability solution for production of complex shapes for tight tolerance parts that need little to no finish work. Single tool technology dramatically lowers tooling costs, and process flexibility makes it an excellent choice for prototype and new product development projects. Our operators have a solid understanding of the hydroforming process as well as the technical skills to take advantage of the high-performance features this press has to offer, and we pass those benefits onto you. When considering the numerous options available for working with metal, many companies choose the beneficial and cost effective process hydroforming. Originally developed around 1950, hydroforming is ideal for shaping many types of ductile metals, including brass, aluminum, stainless and low alloy steels. It holds a number of benefits when compared to similar work processes, especially when considering cost, precision, and efficient operation. One area where hydroforming especially excels is its role in minimizing secondary finishing operations. Hydroforming is a technique that employs high pressure hydraulic fluid to press materials into a die at room temperature. It was originally developed as an alternative to stamping for small quantities of parts. Since then, hydroforming has become a major industrial practice. The process offers numerous benefits over other similar machining methods. Lower Costs. A number of factors contribute to the cost reduction provided by hydroforming, including the area of tooling. Processes such as stamping require a great deal of tooling. A male die and a blank holding ring are essentially the only tools that are needed in hydroforming, since a pressurized forming chamber acts as the female die. This results in an average 50% savings when compared to processes like deep draw stamping. Hydroforming also features lower cost materials and reduced set up times, with easily mounted and aligned hydroforming tools. It provides significant savings in product development. 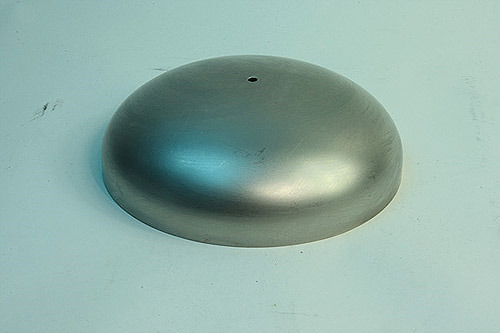 Different material types and wall thickness specifications can be accommodated while manufacturing prototypes using hydroforming techniques. High Quality Parts. The hydroforming process is capable of creating high quality, precision components and parts. Extremely tight tolerances are possible, including aircraft tolerances that are commonly ±0.03”. The sheet hydroforming process is also capable of producing highly complex shapes in a single operation. There is nearly no limit to the geometries that can be produced using this method, and the components produced are of consistently high quality. Hydroforming creates quality results while accommodating materials of all different types. In addition to commonly used ductile metals, hydroforming techniques can effectively shape copper and precious metals like gold. Finally, hydroforming creates materials with reduced work hardening, maintaining material tensile strength for long periods of time. High Efficiency. Setup and handling processes are faster and easier with hydroforming. Because of the simplified configuration of the process, tool change times are far faster than other traditional metal forming processes, often reducing change times by up to 70%. Lead times for tooling are also reduced due to simpler tooling; the multiple processes required by traditional tooling are consolidated to one machine. Parts and components that require many different operations can often be fabricated in just one cycle using hydroforming. This process is simple to run and requires a low amount of skilled labor, saving high labor expenses. Accurate results can be achieved with very low excess scrap, with the additional machining required to finish components often eliminated entirely. A great deal of time and expense can be devoted to secondary finishing operations. Traditional machining methods are apt to leave marks from matched dies and other sources. The additional labor costs can also be significant. Hydroforming creates strong, attractive, and high quality shapes that require minimal secondary finishing. Stamping, a metalworking process using a press to shape sheets of metal, tends to leave scratches on the part. These scratches and other surface imperfections require polishing or surface refinement to repair. Hydroforming eliminates the need for these by producing smooth parts the first time around. Processes such as matched die forming also leave many residual marks on the shaped part. Shock lines, draw marks, wrinkling, and tearing may occur. Hydroforming is unique in shaping metals without these types of scuff marks. Secondary operations to correct the flaws listed above can include a wide variety of machining processes. In addition to polishing and buffing, CNC and laser machining may be needed. Hydroforming prevents the need for these while maintaining dimensional consistency. With options that include the use of vinyl clad material to protect polished sheet stock from being marred, the cost savings that hydroforming provides can be enormous. 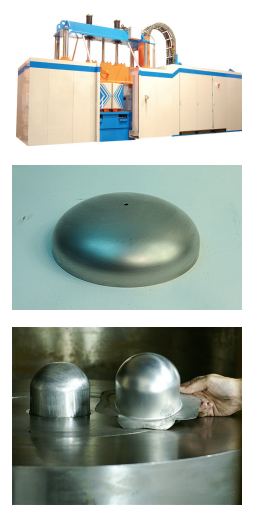 The smooth surface finishes produced by hydroforming are required in a number of different areas. Hydroforming is extensively used in the automotive sector and in the oil & gas industries. High tolerance applications such as aerospace and medical products also count on the smooth and accurate work that this process produces. It is used in military, commercial, and alternative energy applications as well. Commercial cookware utilizes hydroformed parts for their outstanding surface finishes, and the list goes on. High quality and cost effective, hydroforming continues to be a method of choice for metalworking. It not only eliminates the need for most secondary processing, but provides precise and efficient metal shaping. It is widely known its pleasing aesthetic qualities, and also for highly accurate finishes for industries where accuracy is of the utmost importance. This blog has showcased our custom tank heads before, exhibiting our dedication to quality above all else in fulfilling your custom product orders. Today we’re going to be talking about them again, as a lens through which to look at one of our other manufacturing processes: hydroforming. While metal spinning is our core business and the process we use whenever we determine it to be the best match, hydroforming is ideal for custom tank head manufacturing thanks to its ability to combine product strength, concave form, and light weight. Let’s look at each of those factors a little more closely. Product Strength: Custom tank heads are typically responsible for keeping oil, fuel, or liquid food products secured within a tank or pressure vessel. The demands of these types of automotive/transportation applications mean that improperly formed tank heads can easily deform, crack, and bend. This makes it that much easier for them to come loose at some point down the road – and probably on the road. Lost time and lost product are the result. Concave Form: Hydroforming uses liquid pressure to form flat metal plate into the shape of a mold, quickly, easily, and cost-efficiently producing the required rounded forms. Light Weight: In automotive applications, weight is a critical concern for manufacturers. Every extra pound and ounce means decreased fuel efficiency, which can add up quite a bit for a fleet of trucks or trailers. Hydroforming is a great way to provide the required product strength while still keeping weight down. We’ve talked about our pride and success as a family-owned small business manufacturer. One of the major concerns in any family-owned business is succession planning – planning for the future, when one generation of family is replaced in the workplace by the next. Of course, the nature of family business is typically that older members seem to never really leave, offering their expertise and advice (whether solicited or not) long after their retirement. Done correctly, though, succession planning represents the perfect merger of the lessons instilled by the older generation, and the innovation and promise of the newer. It certainly takes both parts of that equation to make a family-owned business work. The business acumen and work ethic of the older generation must be taught and instilled, respectively, and this cannot happen overnight. Even for a younger generation that has grown up immersed in the world of that business, practices and processes must be learned and internalized. This is not to say that that next generation brings nothing to the table, though. Far from it: they represent the company’s future in every way. Their technological aptitude and familiarity combined with innovative new perspectives and ideas on the business are invaluable, especially in a quickly changing world. Why, there are many of us at Helander Metal Spinning who remember the days of an internet presence consisting of a single email address and no website, and a machine shop consisting of a single CNC machine. If neither of these technologies had been embraced, we probably wouldn’t be where we are today. But the merger of expertise occurred, and here we are, ready to serve your needs. Doing business with Helander Metal Spinning, you learn pretty quickly that we are among the millions of family-owned businesses (FOBs) that keep sectors from manufacturing to retail operating smoothly. Our status as a FOB is so ingrained into our culture that you can’t help but notice it. In many ways, the history of family-owned businesses reflects the history of America, and succession through generations provides a link to the earlier days of a business, an industry, and a nation. Succession is just one part of FOB ownership, however (and one that we’ll explore further in future blogs). Other important considerations include dealing with changing industries and trends, keeping family and business separate, and managing nonfamily stakeholders. Helander’s Dr. Siham Ibrahim talks about all of this and more in her new book, Keep It In the Family. By drawing on expertise not only as the CFO and part-owner of Helander, but also as a consultant with countless other FOBs, Dr. Ibrahim uses time-tested experience and methods to explain best practices of FOB operations. 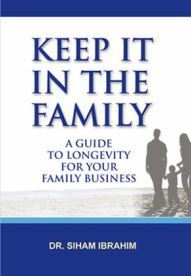 Whether you are a first generation owner exploring succession plans, or a second- or third-generation family member seeking to improve everyday process, you’re sure to find Keep It In the Family useful. Click here to purchase. At Helander, nothing makes us happier than doing great work that saves our customers money. Recently we’ve discovered a new production niche that has been bringing us tons of new and repeat customers. It seems that metal stamping facilities often face a dilemma. One of their clients might come to them requesting a short run or prototype of a new project. For the metal stamper this can be a giant headache, because it is often cost-prohibitive for them set all their machinery up to do small jobs. If they take the risk and don’t get the big project, they are out time and a lot of money. The solution? Going to Helander for metal spinning and hydroforming services that you can’t get elsewhere. Metal stampers come to companies like Helander because we have the ability to spin or hydroform their short run orders (usually around 1,000 pieces) at a significant savings. How significant? How does 90% less sound? Our processes allow for metal stampers from all over the world to remove the risk of low volume production from their minds. Instead, they can go ahead, and if they land the big contract, they often will be looking at orders of a million pieces or more. It’s a pretty sweet deal for both sides, and it’s why so many metal stampers are subcontracting metal spinners and hydroformers like Helander. So if you’re a metal stamper, what are you waiting for? Contact us today to find out how we can save you lots on your short-run projects. Why Hydroforming? We’ve Got Your Answers. Lots of different types of machining methods are familiar to manufacturers. Even if you don’t deal with all of them or maintain a factory full of every machine that’s out there, you can probably rattle off quite a few different types: CNC machines, EDM, waterjet cutting, and so on. Of course, for us at Helander, one type invariably comes to mind first: metal hydroforming. In late 2011, the Association for Manufacturing Technology released this summary of the manufacturing outlook for 2012. With Q1 (and fiscal Q2) drawing to a close for many companies, we’re revisiting their assessments and sharing some benefits of hydroforming with you, our readers. One of the major factors behind the growth of hydroforming? As older machinery breaks down to the point of replacement rather than repair, shops are looking into new technologies to increase efficiency and expand their customer base. Of course, at Helander Metal Spinning, we’ve been hydroforming for over 35 years, so you can be assured that we’re not a new kid on the block. We combine the benefits of experience with the assets offered by the process. As the article mentions, some of those assets include distortion- and deformation-free manufacturing thanks to the precision inherent in the technology. Other benefits include greater complexity in forming drawn shapes than traditional stamping, as well as decreased tooling costs. For answers to any questions you may have, please contact Helander today! The new Boeing 787-9 Dreamliner is like nothing you’ve ever seen. It’s a super-efficient airplane that uses 20% less fuel than any other plane in its class. Did we mention that it does this with a range of 8,500 nautical miles while carrying up to 290 passengers? It’s the plane of the future because it saves fuel while helping handle the ever increasing number of domestic and international air passengers. It sounds so exciting that it might even be worth planning a vacation around riding in one. It should come as no surprise that everyone at Helander is excited about the new Dreamliners. Our excitement not only comes from how cool the new planes sound, it also comes from the fact that we’re experts in hydroforming and it just so happens that hydroforming is one of the best ways to produce parts for aerospace products. Because of the recent growth in larger aerospace projects like the 787-8 and 787-9 Dreamliners, Helander has been busy upgrading our already impressive hydroforming capabilities. On February 15th, we will be adding a 20” hydroform machine – our third hydroform overall, and our very first 20” one – which will give us the ability to handle an even larger volume of orders. Keep checking our blog and website to learn more about our new completely custom rebuilt 20” hydroform machine and how it can help you stay at the forefront of aerospace technology. 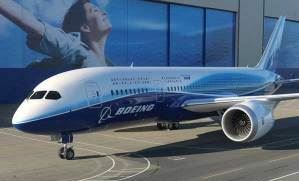 And if anyone gets to take a ride in a Dreamliner, take some pictures and we will share them with our readers!